Cancer, the leading causes of death worldwide, causes multiple metabolic and physiological alterations, leading to an unregulated proliferation of cells. The existing anticancer therapies are usually nonspecific with side effects and or are extremely expensive, thus hunt for better therapeutics is still on, specially efforts are made to look for naturally occurring molecules. Sea harbors several organisms which are unexplored for their biological potentials. Green macroalga genus, Caulerpa, is one such invaluable repository of bioactive metabolites like alkaloids, terpenoids, flavonoids, steroids and tannins with reported bioactivities against many diseases including cancer. Anti-cancerous metabolites of Caulerpa like caulerpenyne (Cyn), caulerpin, caulersin, and racemosin C, possess unique structural moieties and are known to exhibit distinct effects on cancer cells. Theses metabolites are reported to affect microtubule dynamics, unfolded protein response, mitochondrial health, cell cycle progression, metabolic and stress pathways by their cross-talk with signalling proteins like AMPK, GRP78, GADD153, Bid, Bax, AIF, Bcl2, P21, cyclin D, cyclin E, caspase 9, and PTP1B. 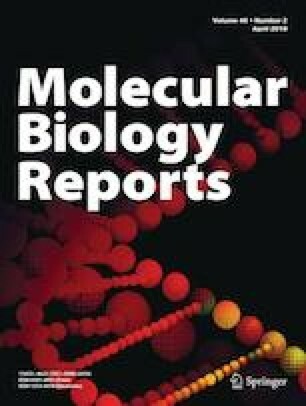 Targeting of multiple cancer hallmarks by Caulerpa metabolites, with concomitant modulations of multiple signalling cascades, displays its multifactorial approach against cancer. Evaluation of anti-cancer properties of this genus is particularly important as Caulerpa species are widely edible and utilized in several delicacies in the coastal countries. This is the first review article providing a consolidated information about the role of Caulerpa in cancer with major contributing metabolites and plausible modulations in cancer signaling and prospects. Richa Mehra and Satej Bhushan have contributed equally to this work. RM acknowledges Indian Council of Medical Research (ICMR) for providing financial assistance in terms of Junior Research Fellowship (JRF). SB acknowledges Ministry of Earth Sciences-Drugs from Sea Programme (MoES-DFS), India for financial assistance as JRF. FB acknowledges Department of Science and Technology (DST-INSPIRE), India, and MoES-DFS for research grants. SS acknowledges DST-SERB extra mural grant for financial assistance. All authors duly acknowledge Central University of Punjab, Bathinda. RM and SB contributed equally for the preparation of this manuscript. FB contributed in proofreading and polishing of the manuscript. SS coordinated the work and compiled the manuscript. Richa Mehra declares that she has no conflict of interest. Satej Bhushan declares that he has no conflict of interest. Felix Bast declares that he has no conflict of interest. Sandeep Singh declares that he has no conflict of interest. This article doesn’t contain any studies with human participants or animal models performed by any of the authors. This study didn’t require any formal consent.